I'm going to be honest here for a quick second. I used to absolutely dread photographing toddlers. I mean, even thinking about it made me cringe. I know, I know...Gasp! Now, they are still the toughest and most adorable subjects to photograph for me, but I LOVE it. When I started my journey as a Boise, ID family photographer, I was convinced that moms only wanted the Christmas card photo with everyone looking at the camera. You know, the one where they're all smiling and folding their hands... Maybe sitting a cute prop... Don't get me wrong, those are sweet moments to capture and I always shoot for a few options in the gallery. After years of frustration and overthinking, I can honestly now say I can't get enough of toddlers. The candid, raw, and genuine moments of the kids (being kids!) has changed my way of thinking when it comes to capturing childhood. Moms, don't you want to remember those genuine reactions of your baby laughing as tickle her belly or her (huge!) smile as you all hold hands and play ring around the rosie? The best part about toddler sessions you ask? Sitting back and documenting your babies in real time. No posing, no stress, and no bribery...Usually! ;) Now that I'm a mama, I crave for those candid and lifestyle memories to hang on our wall. This sweet bunch won the Mama and Me Giveaway with @hellomeridian this spring and I couldn't be happier. Something about giveaways gets me all excited. Thanks for pairing me up with this sweet mama and her kiddos! 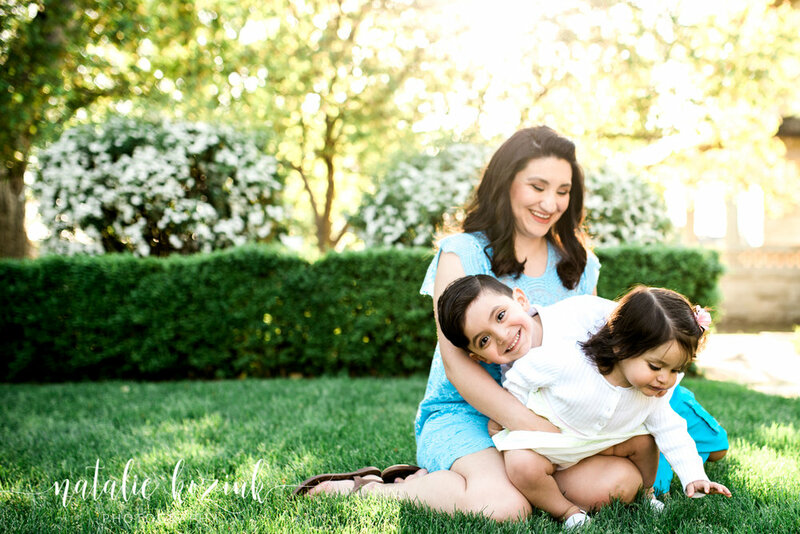 If you're looking for a family photographer in the Boise, ID area I'd love to hear from you. Hit the contact page or email directly to hello@nkoziukphotography.com. Make sure to follow and like me over on IG :@nataliekoziukphotography and Facebook: Natalie Koziuk Photography.